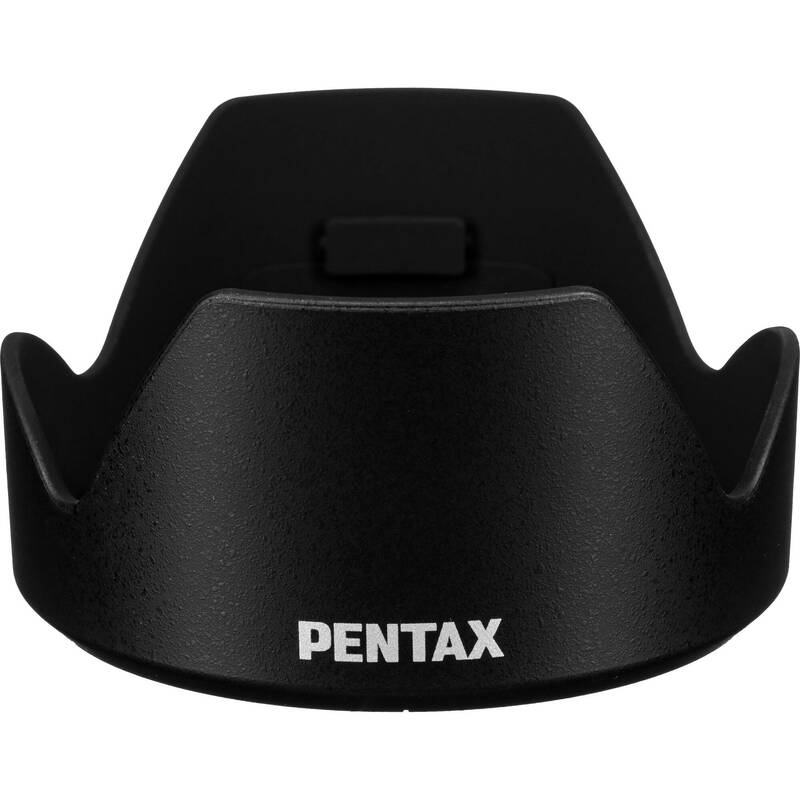 The PH-RBA 62mm Lens Hood from Pentax is intended for the Pentax SMC DA 18-135MM f/3.5-5.6 ED AL (IF) DC WR lens, and is designed to match the specific focal length of the lens. The "petal" shape of this lens hood maximizes the amount of hood coverage for the minimum amount of weight and hood area. For use with the Pentax SMC DA 18-135MM F/3.5-5.6 ED AL (IF) DC WR lens. Box Dimensions (LxWxH) 3.6 x 3.6 x 1.9"
PH-RBC62 62mm Lens Hood for Pentax SMC DA 18-135MM f/3.5-5.6 ED AL (IF) DC WR Lens is rated 4.6 out of 5 by 5. Rated 4 out of 5 by Michael from Don't forget to protect your lenses.. Ok,so it's not to be cute,and we are supposed to be careful anyway with our gear,yet in the real world,our lenses need some protection..This hood is pricey,yet it's not plastic,it's durable,and you can open a small port on the top to allow some more light directly to the lens.When I am walking around I know that it will protect the lens from dings,bumps,and bruises,and I don't have to keep putting on the lens cap until I am done for the day/night.I originally thought I lost the first hood,so this one was a replacement,yet someone I work with found it,so I placed the original one back on the lens,and now I have a backup.Of course the service was speedy and efficient,as I have found B&H to be. Rated 5 out of 5 by Alf from Pentax DA 18-135mm lens hood I misplaced the lens hood for my Pentax DA 18-135mm while on vacation. So, I need to get a replacement copy. This is the genuine Pentax PH-RBC62 lens hood (with made in Vietnam sticker label). It fits perfectly as it should. The lens hood provides protection from damage to the lens elements and also cut down potential glare. Rated 5 out of 5 by Stephen from Perfect but pricey! How is it the hood, made of plastic or resin, costs $, for a lens I could purchase for $? I had no other option and so I paid it. I searched high and low and the price was the same everywhere so I returned to B&H since their service is too notch! Rated 5 out of 5 by Harm from 18-135mm hood Does what it's made for. Perfect replacement for the original one I lost for my 18-135mm WR lens. Would this fit any lens with a 62mm filter size?